There were plenty of gasps and cheers at the Garneau Theatre on Tuesday. But it wasn’t because of some old horror movie on the big screen, it was soccer. There were plenty of gasps and cheers at the Garneau Theatre on Tuesday. But it wasn't a classic old horror film on the big screen, it was soccer. Just over 200 fans watched as France beat Belgium by a score of 1-0 to earn a berth in Sunday's final. Brazil fan Danny Zaiter, sporting a France jersey, is still following the tournament despite his team's loss last Friday to Belguim. "It was very disappointing, and it's hard to put on another jersey after that," said Zaiter, who watched the game with friend Julia Franca. The pair say they're impressed with the passion shown by Edmonton soccer fans since the FIFA World Cup tournament kicked off June 14. "I'm from Brazil and we're used to watching it with a lot of people and in a big crowd," Franca said. "I think this is the closest it can get." Zaiter, who is originally from Lebanon, called the World Cup a "fantastic thing" for the city. "I come from a country where soccer is such a big thing," he said. Hosting the party for 200-plus fans was former FC Edmonton soccer analyst Steven Sandor. "I think people like seeing new teams, they like seeing the Cinderella stories," Sandor said. Cable television is having a huge influence as fans now routinely watch the current crop of stars play every week in games from across the world, he said. "Kids know who Lionel Messi is, kids know who Ronaldo is, kids are going to know who Kylian Mbappe is in a few years. He's going to be a global superstar," Sandor said of the 19-year-old French forward who has become a household name this summer. 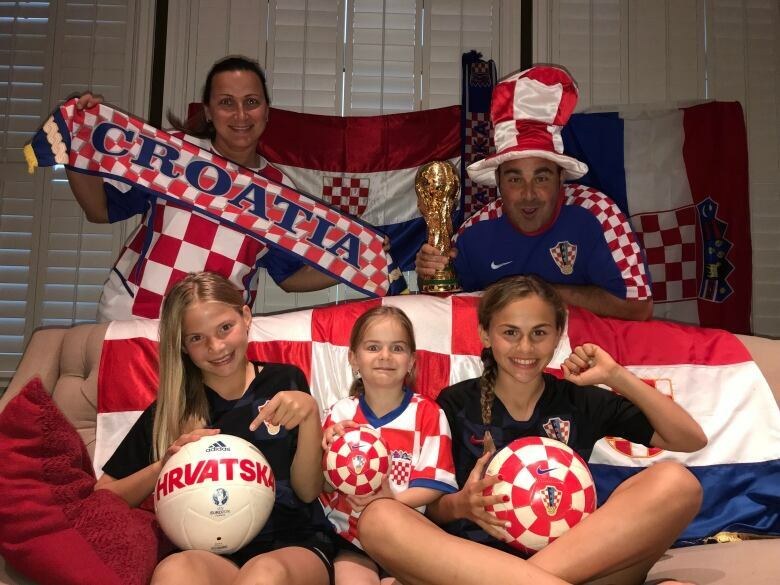 Facing their showdown are two equally passionate soccer nations in England and Croatia, who will play Wednesday for the second spot in the final. For English fans, previous failures kept expectations low coming into this year's World Cup. The team has blown those expectations out of the water. England fan Danny Greenwood, 38, said the last month has been full of anxiety, and tons of beer. 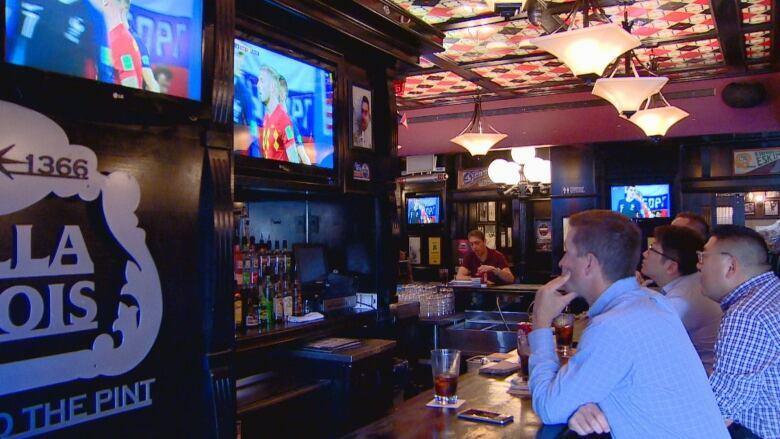 "It's one game away, one game away from the World Cup final," said Greenwood, who has been organizing watch parties at a local bar. "If you'd have spoke to me a month ago and you had said we'd be in that position, I would have said, 'No chance, not in a million years would we do this.' "
Bernard Vukovic was born in Canada but said his Croation roots run deep. A win Wednesday will put his country in the final for the first time in history. "I'm nervous, I'm hoping for my team, I'm praying," Vukovic said. "I've been doing 100 Hail Mary's, 100 Our Father's, 100 Glory Be's just to make it through. "We'll see if God's listening to me, or if he's busy with more important things. We'll see." Despite all the drama surrounding the games, there are those who simply aren't interested. After all, powerhouse teams like the Netherlands and Italy didn't even qualify. Favourites Germany, Brazil, Spain, Mexico, Portugal, and Argentina are nowhere to be seen as the final countdown begins for a chance to win the game's holiest grail.